Leo Road Equipments Pvt Ltd. is the pioneer manufactrer of mobile asphalt plant mobile wmm plants in india and all models are design copyrights. Leo Road Equipments is one of the largest manufacturers and exporters of a wide Range of products like Asphalt Plants, Stationery and Mobile Asphalt Drum Mix Plants, Wet Mix Plants, Wet Mix Macadam Plants, Hot Mix Plants, Portable Asphalt Plants and Industrial Asphalt Plants and also the pioneer manufacturers of Mobile Asphalt Plant, Mobile Wet Mix Plants in India. Our equipments are passed through rigorous quality tests. The company's initiative is towards total quality control management by its own in-house quality control department. 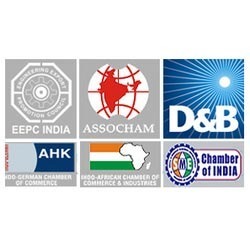 Leo Road equipments is a D&B certified company. The company with constant dynamism, innovation, expansion and technological up-gradation is moving ahead with its time-tested motto of product quality and customer satisfaction. In the new global scenario Leo Road Equipments is continuously striving to be a customer-driven organization, marketing it's products at most competitive prices. The Company has always been a pacesetter. The Company's main concentration is totally towards the development of technical support through quality products for the Indian & Global market. Our emphasis is on Research and Development over the years and recognizing the importance of R&D in the growth and development of our business. Our adherence to strict quality control goes beyond compliance requirements of Indian & Global standards. Consistent R&D has lead to the creation of new products and improvements in the existing ones. Due to environmental friendly products results in power saving and adds to value for money for the customer. We are working on AutoCAD and solid works softwares. SUNIL Y BIVALKAR, Managing Director is a highly qualified Engineer with more than 31 years experience in the manufacturing and marketing of Road construction equipments from leading domestic and multinational companies. A dedicated and result oriented professional having great insight in planning and designing. 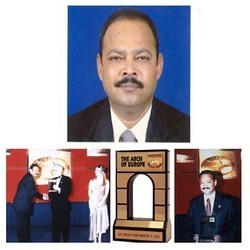 He is credited for leading to sustenance of long term profitability from the Road construction Equipment. Mr. Sunil Bivalkar has played a stellar role in the growth of the company and his efforts have helped make it one of the leading manufacturers of all types of road construction machineries and played an integral role in attaining its current global as well as domestic reputation. His vision is evident from the active role he plays in establishing & development in Indian markets to provide high-end quality solutions to industry. Highly qualified and experienced Design and Engineering team supports the company''s production effort. The department is equipped with latest CAD/CAM software like Solidworks/ AUTOCAD. The company also believes in constant up-gradation of its manpower skills through training and Development of its personne. Our vision is to be a prominent player in the global marketplace through establishing world class facilities and providing superior services which includes establishing the organization as one of the top manufacturers of Road Construction Equipments. Our consistent work approach as well as customer centric business approach has helped us in understanding and meeting the varied road construction plant machinery equipment demands of our customers. Further, our capability to deliver these in customized specifications and at competitive prices has also helped us in making many quality conscious customers in the Indian and overseas markets.